Based on J.D. 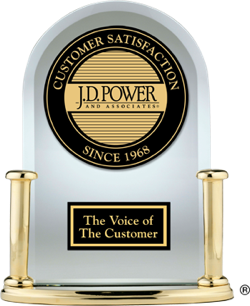 Power research, Lexus ranked highest in customer service in 2006 while Jaguar ranked highest in sales satisfaction. Dealership Sales Experience ratings and awards are not available for 2006. Each year, J.D. Power surveys owners of new vehicles who have owned them for at least 90 days. In 2006, these were the top-ranked small cars and SUVs in terms of customer satisfaction with the sales experience and dealer service. Dealership Service Experience ratings and awards are not available for 2006.